DualShock 3 PS3 controllers could take mobile gaming on Sony Xperia smartphones to the next level thanks to native wireless support, according to one report. "Sony has created a piece of software for its Xperia smartphone range that will let you connect a DualShock 3 wireless controller just like on your console," said Tom Randall, who demoed the functionality in a YouTube video. "[This will allow] you to play hundreds of titles optimized for gamepad from either the Google Play Store or PlayStation Mobile." 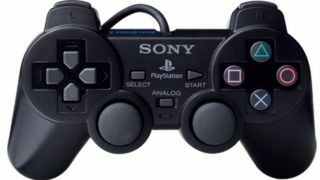 Randall proved this by playing Conduit HD, Alien Breed, and Sonic the Hedgehog 4 Episode 2 on Sony's forthcoming Xperia SP handset using a PS3 controller instead of the touchscreen. Previously, devices needed to be rooted in order to get the DualShock 3 controller to work with Android-powered smartphones. DualShock 3 smartphone compatibility seems to be limited to the Xperia SP so far, according to a tweet from Randall. "It's not an app," he clarified on Twitter. "It's preinstalled settings software inside Sony's overlay. Will be available on #XperiaSP from launch." Of course, there's still a chance that Sony could make this overlay available for other smartphones like the Xperia Z and the Xperia T.
"One would hope so mate," said Randall, replying to that very question from eager Xperia owners. "Trying to find out at the moment. Will share with you when I know." Sony Mobile hasn't gotten back to TechRadar's inquiry about the DualShock 3's smartphone compatibility or verified Xperia SP support, but this page will be updated when that happens. The setup for using a DualShock 3 controller on an Xperia device is fairly easy now that the entire phone doesn't need to be rooted. The connectivity process starts in the setting menu under the Xperia tab where a new DualShock 3 wireless controller setup wizard appears. Besides a PS3 controller and a USB-to USB mini cable, Xperia owners will also need a USB On-The-Go cable handy to complete the gamepad's connection to the device. Once that initial link is made, the DualShock 3 can be untethered, as it will work wirelessly via Bluetooth, and it can be turned on and off via the PS button without need to manually connect again. While everyone's attention is on PS4 and, to a lesser extent, PlayStation Vita, Xperia devices with full DualShock 3 support could remind smartphone consumers that Sony has mobile gaming hardware, too.